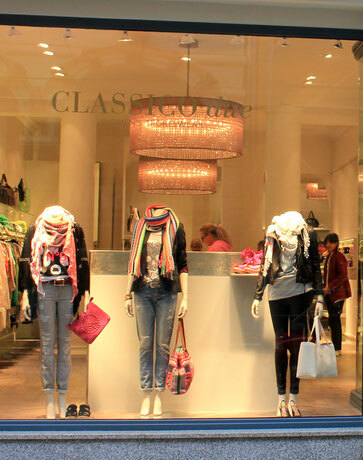 Classico stands for women's fashion in the premium fashion segment. The carousel of fashion is constantly turning, and those who are interested in fashion are always searching for latest trends to reinvent themselves or underline their existing style. Amongst other things, that is what you will find in our Classico shop in the Colonnaden. A well-fitting suit provides the required authority for your interviews, comfortable high heels don't only stretch your silhouette, but also enhance every party night, and a spacious handbag is the best companion for every woman, since you can store everything you need for the day in it. Once your favorite fashion items are found, a life without them becomes unimaginable. They become part of us. With our clothing, we transfer our heart, our personality, and our style to the outside world.